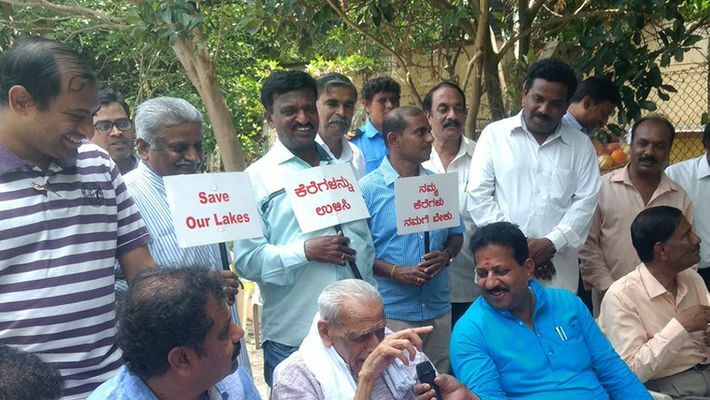 Karnataka Lokayukta has recommended the formation of a Joint Committee to work towards rejuvenating the lakes in Bengaluru, following the hearing of complaints filed by United Bengaluru (Bengaluru-based citizen movement) in this regard. The committee will comprise of officials from Bruhat Bengaluru Mahanagara Palike (BBMP), Bengaluru Development Authority (BDA), Karnataka State Pollution Control Board (KSPCB), Minor Irrigation, Revenue Department and Bengaluru Water Supply and Sewerage Board (BWSSB). The committee has been instructed by the Lokayukta to meet regularly to deliberate and discuss steps needed to rejuvenate lakes. The committee has also been instructed to submit a status report to Lokayukta. United Bengaluru, led by freedom fighter HS Doreswamy, had filed a complaint on August 3, 2017, to highlight the criminality, negligence and executive apathy towards maintenance and rehabilitation of Bengaluru’s lakes. The complaint mentioned the extent of deterioration of 25 water bodies caused by encroachments, illegal dumping and inflow of untreated sewage. Each department submitted the status report on the development work carried out at each lake. United Bengaluru is a citizen’s movement formed to fight for the cause of Bengaluru.